Apparently afraid of the possible consequence of the lingering economic woes in Nigeria since the coming in of President Muhammadu Buhari’s administration in 2015, the All Progressives Congress (APC) Rebirth 2019, has demanded that the ruling party urgently turn things around. APC Rebirth 2019, is a support group within the ruling party. 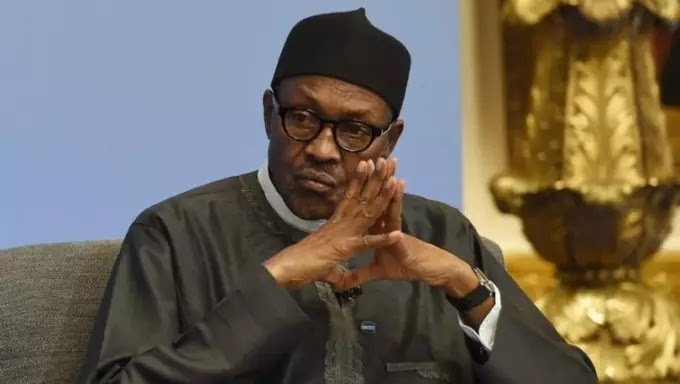 It lamented that the country has continued to sink under President Muhammadu Buhari in an “unprecedented” level and wants the party to turn things around before the 2019 general elections. The position of the group was stated in a letter it sent to Buhari and some APC leaders including Bola Tinubu. The letter was signed by Tony Akeni, the group’s national president. The letter reads in part, “As the ruling party at the centre and in the majority of Nigerian states, we have two choices before us. “To our own detriment, we can choose to bury our heads in the sand from blame, like the preposterous ostrich and flaunt aimless growth and boom statistics like PDP is expert at and used to do in its hey days before its empire fell from its arrogant peak. “The most fruitful channel to achieve the latter, which is the sensible choice, is the immediate convocation of an APC national political and economic retreat. Where we are in Nigeria today, we cannot afford to continue to wallow in the sympathy mentality that Nigerians will forever reason with us that the prolonged social-economic meltdown in our country is entirely the fault of others. “Unlike political retreats we have seen convened in the past by the anti-masses opposition PDP, which consolidate on their avaricious leaders’ well-being and mending party stable cracks to facilitate safe looting of our country, the proposed APC retreat should evolve through three stages. The APC has continuously blamed the Peoples Democratic Party (PDP) for the economic woes in the country which apparently worsened under the present administration.